Have you thought about using an online doctor? Here's 30 compelling reasons why speaking to a doctor online is a great idea. Being able to talk to a doctor online is relatively new in the UK, but we think it's the bee's knees. In this post, we'll give you 30 reasons why we think using an online doctor is great. You can book an appointment at a time and place that suits you at the push of a button. We'll connect you to an experienced, UK-based GP in minutes. Our virtual waiting room means you don't have to risk exposure to contagious illnesses. Prescriptions can be sent directly to pharmacies, letting you collect your medication within minutes. Referral recommendations can be sent directly to your GP or private doctor. If you're nearing the end of your self-certification period or think you're ready to return to work (or return with amended duties), our doctors can dispense instant fit notes. You can take your time and discuss any issues until you're absolutely satisfied. Set your mind at ease once and for all. For example, those in rural areas or those who have to commute long distances. Come down with a case of freshers' flu? 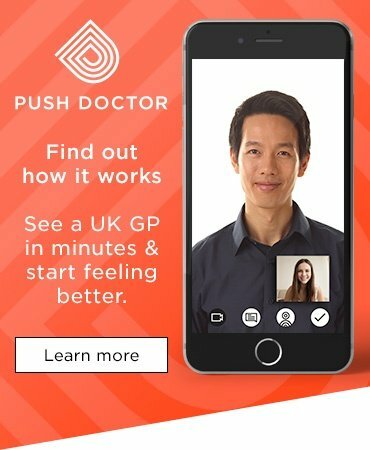 Talk to a doctor at the push of a button. 11. You want to speak to a UK doctor after falling ill overseas. Get expert medical advice from a UK-based GP, wherever you are in the world. There's no excuse to put off that doctor's visit anymore. We'll update your medical notes after every consultation and automatically share them with your GP (if you want us to that is). 14. Discuss as many issues as you want in a single consultation. We won't limit you to one problem per consultation. And we guarantee you won't bump into anyone you know in the waiting room. You can even wear your pyjamas, we don't mind. 17. We're open 365 days a year (or 366 if it's a leap year), including Christmas. Visit us at weekends and bank holidays and don't let illness ruin your festivities. Making it easy to talk to a doctor before and after work. Our virtual receptionists are never off the clock. Since, you know, you don't actually have to go anywhere. Our online booking system makes it easy to get an appointment at a time to suit you. In fact, you don't even have to get out of bed if you don't feel up to it. Consult before or after work, or fit an appointment into your lunch break. Our GPs are based around the country, so the chances of bumping in to someone you know are slim. 26. Not registered with a GP at the moment? No problem! Our service doesn't require you to be registered with a doctor in order to start getting better. No annoying hold music and hours spent by the phone here. If you need further tests at a hospital, we can refer you for those tests. You only pay for the appointments you use, so that's more money in your pocket. Yes, you can have both! 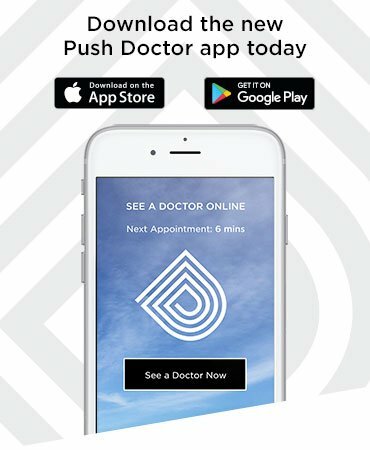 Have you used an online doctor service like Push Doctor? If so, we'd love to know what you thought of it, so be sure to leave us a comment below or get in touch via Facebook or Twitter. And if the above has tickled your fancy, why not give Push Doctor a go right now? It's just £5 for your first consultation, so hit the button below to get started.